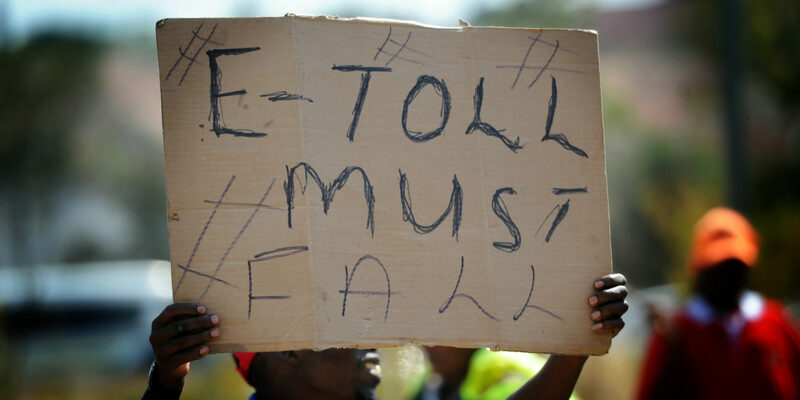 The e-tolls have not worked and the overwhelming majority of Gauteng motorists continue to refuse to pay. This, coupled with regular increases in fuel costs, drives up the cost of doing business and disproportionately diminishes the disposable incomes of both middle-income and poor households. Let us at the outset congratulate you on delivering one of the most well-thought-of State of the Nation Addresses. Your address was a clear demonstration that indeed you have your finger on the pulse when it comes to where we are as a nation and what is it we need to do to grow South Africa together. We were particularly pleased when during your address you paid specific attention to the impact the cost of living is having on the poor and working-class citizens. Highlighting some of the measures your government will put in place to mitigate these comes as a huge relief to many living in Gauteng. When, as the ANC in Gauteng, with our Alliance partners, various civil society formations and residents from all walks of life, we took part in the People’s March on 2 November 2018, we delivered a very clear message to your office on behalf of the people of Gauteng. Our memorandum highlighted a number of factors impacting on the high cost of living. The high cost of data not only leads to digital exclusion, but also puts pressure on emerging and small businesses. This pressure holds back the potential of the digital economy as a growth sector, an area that we have identified as a province to be a key driver for growth in the economy. A critical area that has been raised is the inefficient, unreliable and unaffordable public transport system, especially the regular interruption of train services. This has jeopardised the already precarious employment position of many and is costly to the economy. Last, we categorically stated that the impact of the VAT increase and the urban e-tolling system in our province has negatively affected those who travel in order to make ends meet or to make their contribution towards the growth of our country. The aggregate impact of all the above is that costs are passed on to the middle strata, the working class and the poor, thus eroding their standard of living. The state’s capacity to address the needs of the people will be enhanced. However, we are deeply disappointed that your speech said nothing about the scrapping of e-tolls. The e-tolls have not worked in our province and the overwhelming majority of Gauteng motorists continue to refuse to pay. This, coupled with regular increases in fuel costs, drives up the cost of doing business and disproportionately diminishes the disposable incomes of both middle-income and poor households. At our recently held PEC Lekgotla, we committed to once again engage with you and affected government departments on the ideas and strategies we have developed on alternative funding and proposals for the payment of debt. Jacob Khawe is Provincial Secretary, ANC Gauteng.